★Special introduction by National Park Trust founder and president, Paul C. Pritchard. ★Each park has a locator map as well as a park map showing the park’s main features. 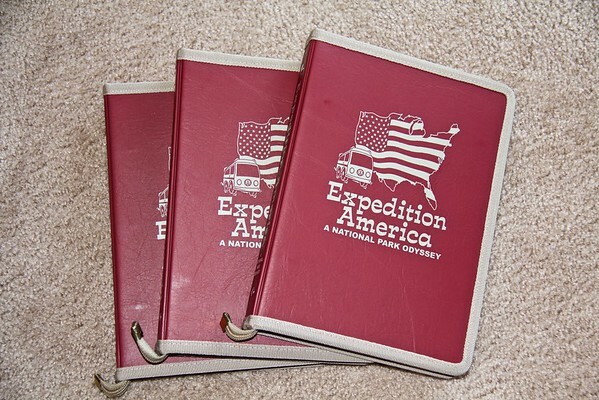 ★A special place is provided for the official park stamp, making the book interactive. ★Stevie and Terry offer personal advice on how to get there, highlights, and “don’t misses,” recommendations. ★A scorecard for you to keep track of which parks you have visited on your own National Park Odyssey. ★Each park segment closes with a Park Fact Sheet detailing: planning, when to go, accessibility, medical facilities, fees and permits, pets and special advisories. How to get there by car, air, train, and bus. Things to do descriptions, tours, fishing, programs, services, and dining in and near parks, with tips and phone numbers. ★Nearby points of interest, the Superintendent’s address, phone number, and website. 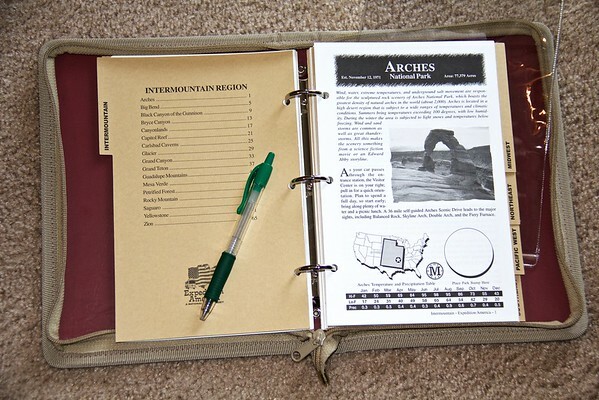 ★This information comes in a unique, made for travel, handsome, vinyl zippered, three-ring binder. Information may be updated as needed. A single park may be removed inserted into a supplied plastic sleeve for travel backpacking and bicycling. There is a place to store maps, pens, and note pages for your own observations.